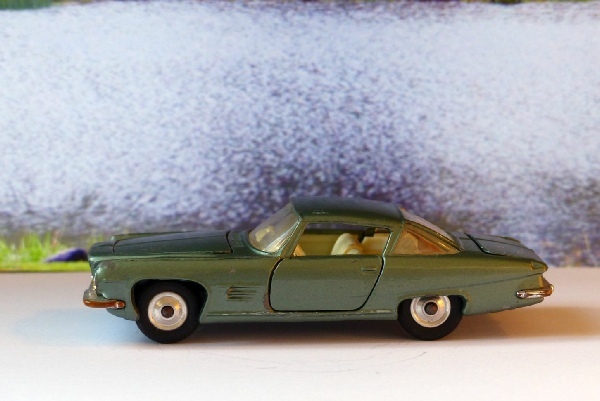 An attractive green Ghia from my own collection. Totally original and in good condition. The chrome is actually very good indeed, with just some discolouration on the leading edge of the front and a minute part of the rear one. This has the difficult to find original pale cream door inserts and the bonnet push and boot sections are the same colour. There are a few chips to the paintwork but they are not obvious and the model looks lovely on display. This is also an example where the suspension is sound all round. Quite rare these days!